‘Magnetic termites’ sounds like a very disappointing toy to find at the bottom of your Christmas stocking. But no, they are a real species, Amitermes meridionalis. I don’t have a picture of the insect itself, but I assume it’s just your standard termite: a pallid little wriggly thing. Or thousands and thousands of pallid little wriggly things. 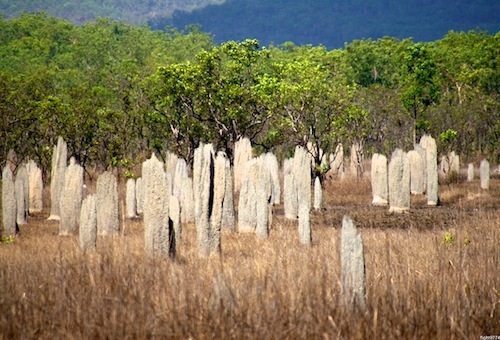 But anyway, with termites it’s all about the mounds. Which can be spectacular: check out this termite mound in Botswana (with giraffe for scale). 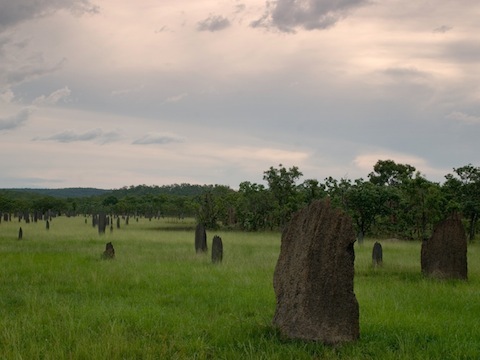 They’re called ‘magnetic’ because the mounds are wide and flat, and they all align themselves north-south. Giving a distinct graveyard look to a group of them together. I love how different they look depending on the season and lighting. They aren’t actually magnetic, because they aren’t aligned along the earth’s magnetic field; instead they’re aligned according to where the sun rises and sets. Google doesn’t provide a consensus answer for why they build their mounds this way; it is something to do with minimising exposure to the heat of the sun, and therefore controlling the temperature, but there are plenty of termites living in very hot conditions, and most build round mounds. The fact that the magnetic termites live in an area which is sometimes flooded is probably important, but again it’s not entirely clear why that makes a difference. Whatever the reason, the result is spectacular. The closest relative of the termites are cockroaches. Termites are cockroaches who have built elaborate societies by working together for a higher cause. Admittedly most of them are anaemic stunted slaves, working themselves to death to further the interests of a feudal autocracy… but it’s still a remarkable example of the power of cooperation. Enjoying insects is mainly about noticing the little things, having an eye for detail; not just appreciating the sweep of the landscape, but also the square meter of land directly in front of your feet. Occasionally, though, insects can construct a landscape on a massive scale. » ‘Magnetic termite mounds’ is © Peter Nijenhuis. 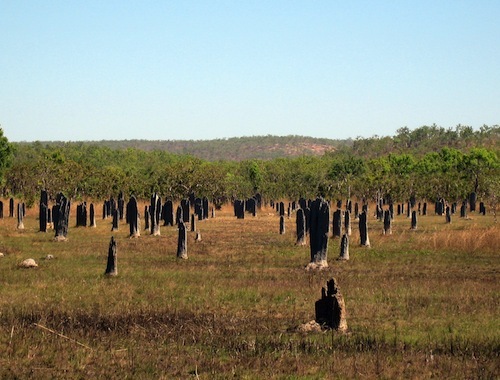 ‘Magnetic Termite Mounds – Litchfield National Park – Northern Territory – Australia’ is © Flight9774; both are used under CC by-nc-nd licences. ‘DSC07400’ is © Blake Chen and used under a by-nc-sa licence. 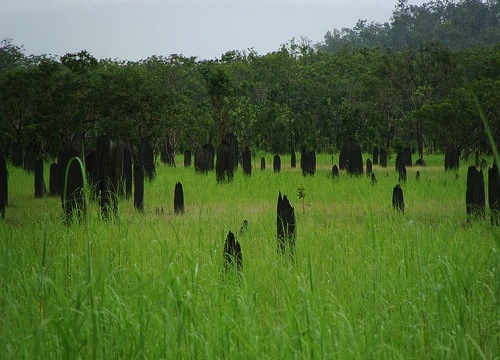 ‘Magnetic Termite Mounds’ is © factoids and used under a by-nc licence.